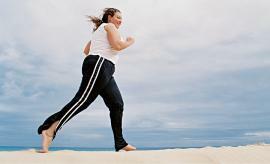 Bariatric medicine deals with the problems of obesity using the surgical method. With the help of bariatric can be achieved weight reduction, as well as to treat severe cases of overweight. Operation is performed by doctors - professionals, professors, specializing in bariatric surgery. The term "bariatric medicine" means only the surgical treatment of overweight. It is important to note that such operations can also lead to the cure of type II diabetes. In many countries, these operations paid for the insurance companies, which suggests that obesity - it is officially recognized disease that requires treatment. 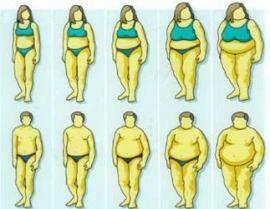 Methods of bariatric surgery pretty much, they are different on volume and on the testimony. Consider one of the most simple, affordable and safe - reducing the stomach. Silicone container is installed and filled with fluid, which reduces the volume of the stomach and reduces the amount of food needed for saturation. The balloon is installed using the an endoscope. After 6 months, the balloon must be removed. The next step could be adjustable gastric banding. This laparoscopic surgery is performed for more than 20 years. On the upper part of the stomach is superimposed special adjustable gastric band, greatly bounding food intake into the stomach, resulting in food intake occurs rapidly feeling of satiety. The average weight loss after surgery reaching 45- 55% of overweight.